I can't say enough how much Jo Knowles always captures my attention with her books. I read Lessons from a Dead Girl when I was in my first year of college, back before I really understood the realm of YA fiction. That book haunted me for days. Jo Knowles has a knack for pulling out the deepest, darkest, hardest part of people to face. Then she helps you through it so you come out on the other end a completely different person. 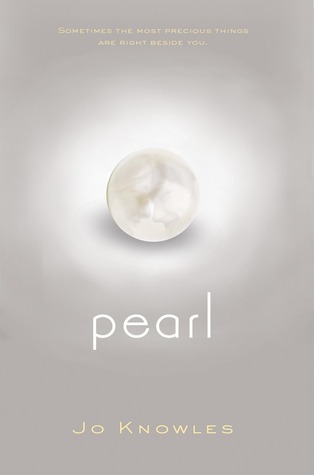 Although I haven't had a chance to read Pearl yet, I cannot wait to dive in! Her books may be more on the "tough reads" side, but I've never been let down yet. The premise of love in this one intrigues me. Are you going to add it to your TBR list?